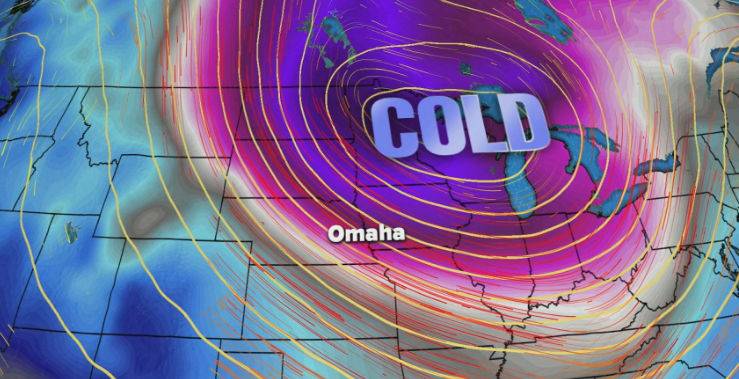 (Omaha, NE) -- A polar vortex is causing dangerous wind chills in Nebraska. A Wind Chill Warning is in effect for eastern Nebraska including Omaha until noon, and a Wind Chill Advisory will be in effect from today at noon until 9:00 tomorrow morning. Wind chills in the impacted area could reach 40-degrees-below-zero. Officials are warning that exposure to the cold temperatures could lead to frostbite and hypothermia within minutes.